Mama June from the TV show Here Comes Honey Boo Boo has been arrested and charged with possession of a controlled substance. June was arrested last Wednesday after an alleged domestic dispute at a gas station between herself and boyfriend Geno Doak. According to The Blast, June has now been charged with a felony for possession of a controlled substance and a misdemeanor for possession of drug paraphernalia. The controlled substance is listed as crack cocaine. Geno was also charged with domestic violence. Sheriff Andre Brunson said at a press conference that the pair were arrested after a night of gambling. 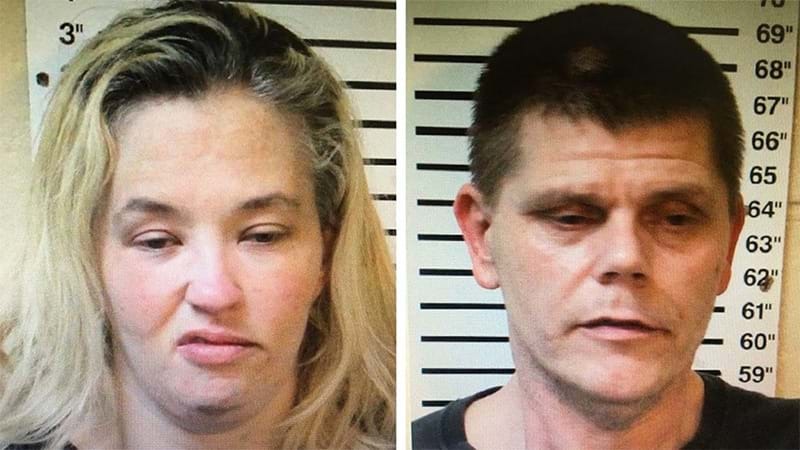 They were sitting in June’s car when police "found some drug paraphernalia and some other drugs in the car”. The sheriff reported that June "was very cordial, she was very nice and funny, of course, and we didn't have any problem with either one." June is the mother of Honey Boo Boo aka Alana Thompson. The self described “redneck” family shot to fame after Alana appeared on Toddlers and Tiaras. They later scored their own show, Here Comes Honey Boo Boo, followed by June’s own show Mama June: From Not to Hot.